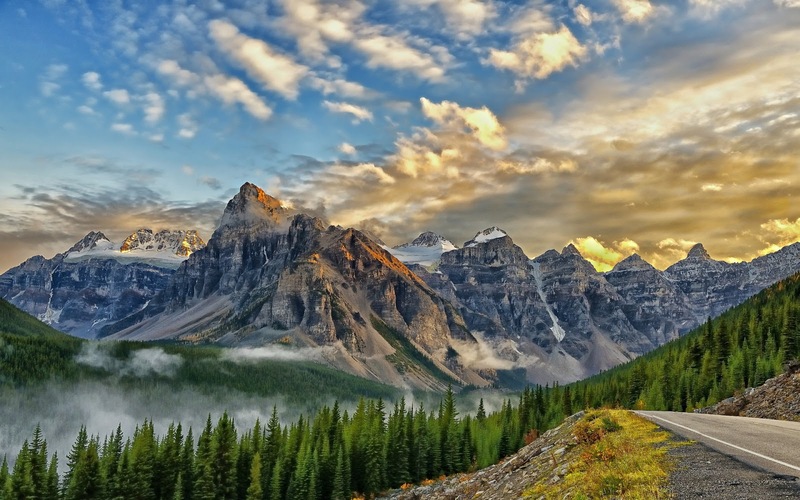 The Banff is one of the world's most visited national parks! 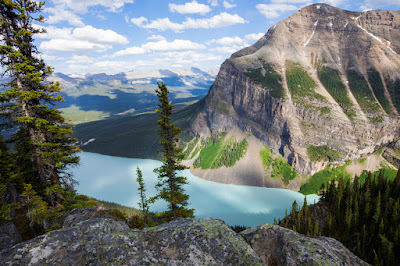 Each year, millions of visitors come to Banff to marvel at the emerald waters of Lake Louise, walk amongst the flower-filled heavens at Sunshine Meadows, and drive beneath the towering jagged peaks lining the Icefields Parkway. Banff National Park is Canada's oldest national park, established in 1885 in the Rocky Mountains. The park, located 110–180 km west of Calgary in the province of Alberta, encompasses 6,641 km2 of mountainous terrain, with numerous glaciers and ice fields, dense coniferous forest, and alpine landscapes. 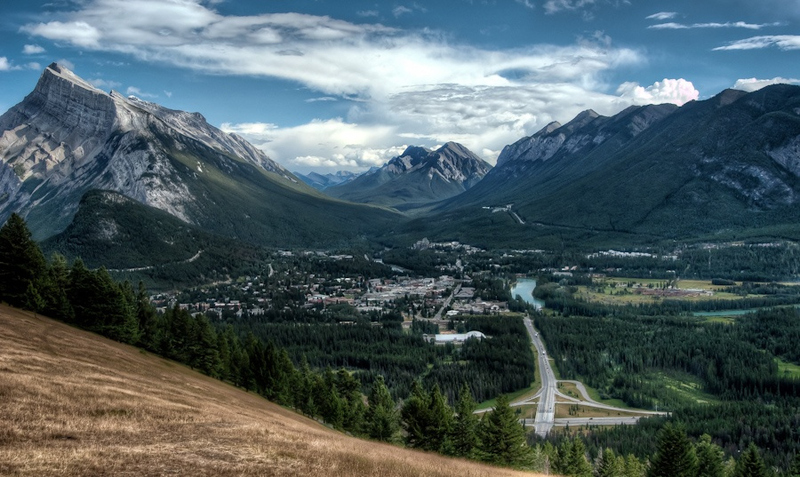 The main commercial centre of the park is the town of Banff, in the Bow River valley. Since the 1960s, park accommodations have been open all year, with annual tourism visits to Banff increasing to over 5 million in the 1990s. 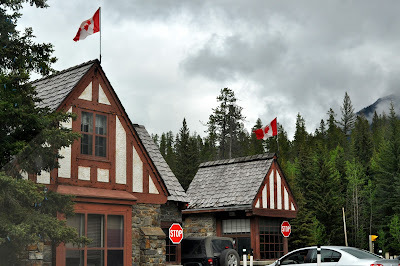 Millions more pass through the park on the Trans-Canada Highway. 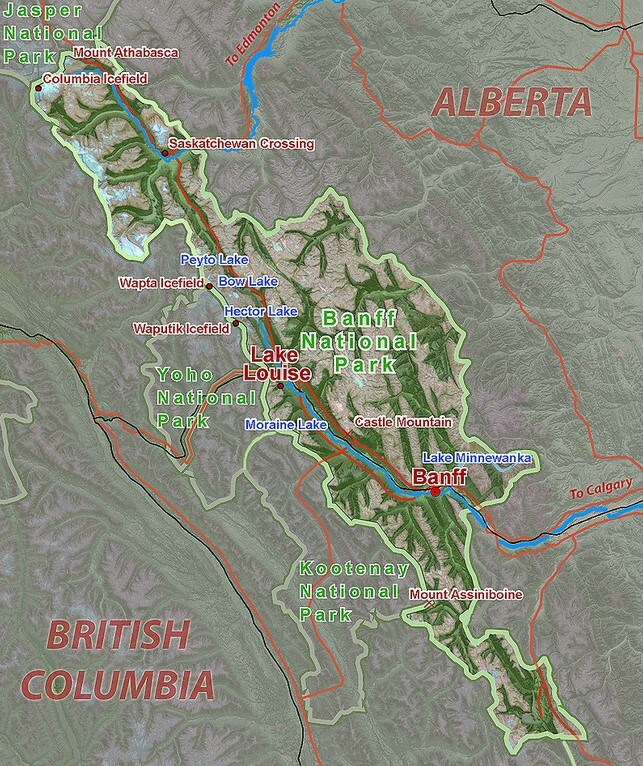 Map of Banff National Park. Big Beehive trail in the Canadian Rockies. 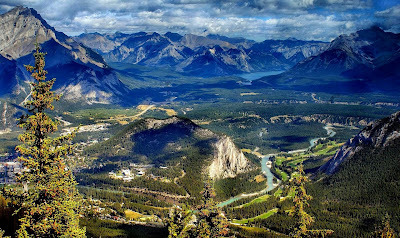 Aerial view of Banff National Park. Moraine Lake in Banff National Park in Alberta Canada. 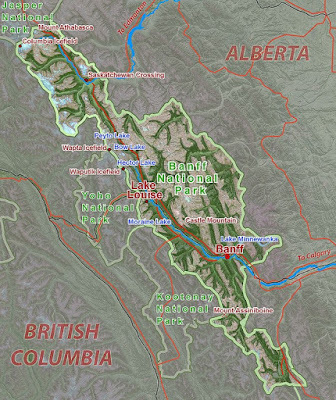 Other than the townsites of Banff and Lake Louise, and the highways that bisect the park, it is about 93% untouched wilderness. 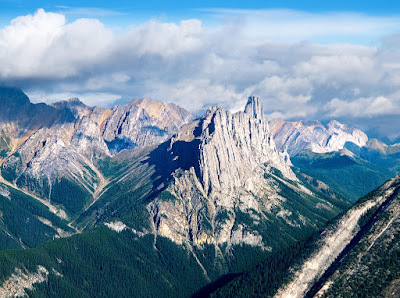 The most dominant feature is of course the mountains, of which vistas are present from anywhere in any direction. The most common wildlife seen in the park are Bighorn Sheep, Deer, Elk, and Caribou. More elusive are the Moose, which are on a decline in population, and Mountain Goats, which are virtually undetectable on the mountainsides without a good pair of binoculars. 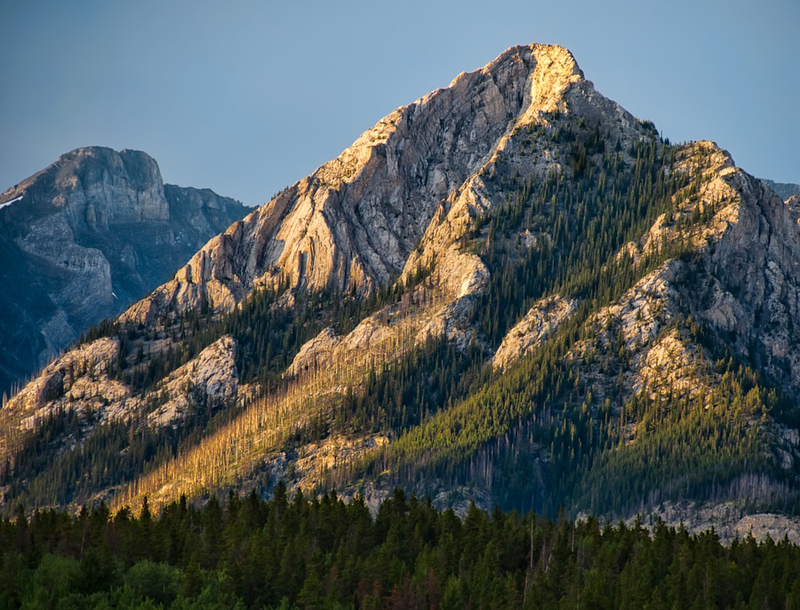 Although sightings are rare, it is important to keep in mind the park is also home to Black and Grizzly Bears, Wolves, Coyotes, and Mountain Lions (Cougars). On the warm and fuzzier side the park is home to many Squirrels and Marmots. The occasional Porcupine and Beaver may also be found. Bird lovers will want to watch for Grouse, Bald Eagles, and the ubiquitous Canada Goose. In summer the climate is generally mild. July is the warmest month, with an average temperature of 22C. There is rarely snow at highway level in the summer, but the mountain tops will be snow covered year round. In winter the average temperature drops drastically. January is the coldest month with an average of -15C. Snow will be found at any elevation in the winter, and harsh winter conditions can be expected anywhere at any time. Lake Louise, Banff National Park, Canada! 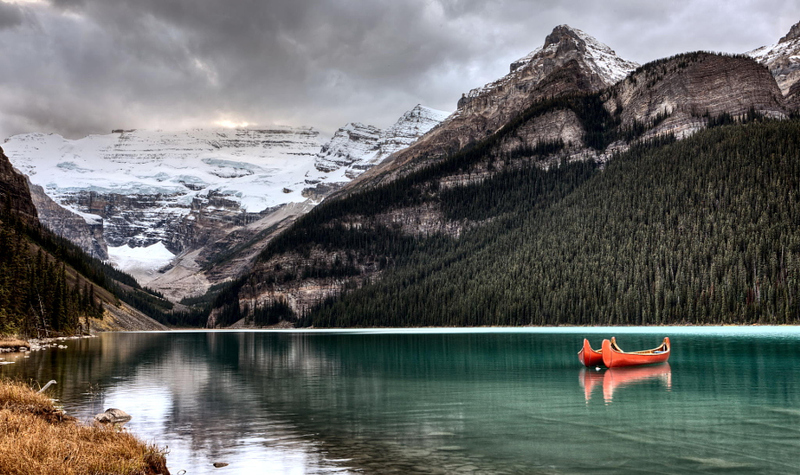 Canoes at Morraine Lake, Banff National Park, Canada. 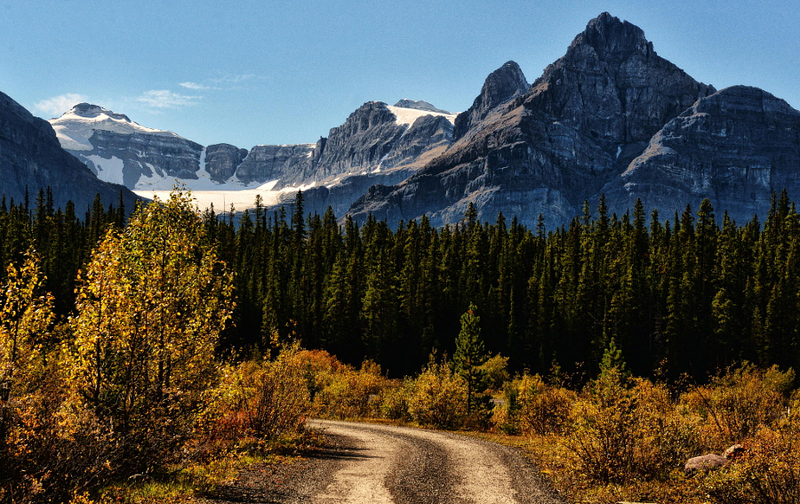 Views along the Icefields Parkway in Canada. 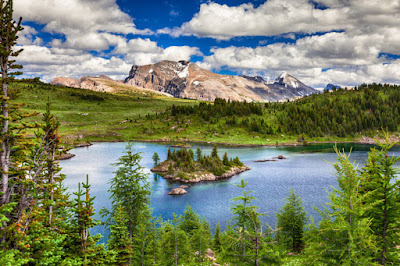 View of Rock Isle Lake in Sunshine Meadows in Banff National Park. Mt. Lewis in Banff National Park. By car: Highway 1 bisects the park east/west. Banff is about an hour and a half from Calgary, Alberta and the same from Golden British Columbia. Other ways to enter the park by automobile include the Icefields Parkway from Jasper, Highway 11 from Rocky Mountain House and Red Deer Alberta, and Highway 93 from Radium Hot Springs and Cranbrook British Columbia. By bus: Greyhound and Brewster provide regular scheduled coaches that serve Banff and Lake Louise, departing from Calgary and points in British Columbia. Another option is to book one of the many guided bus tours that visit the park. Most of these will depart from Calgary or Vancouver. 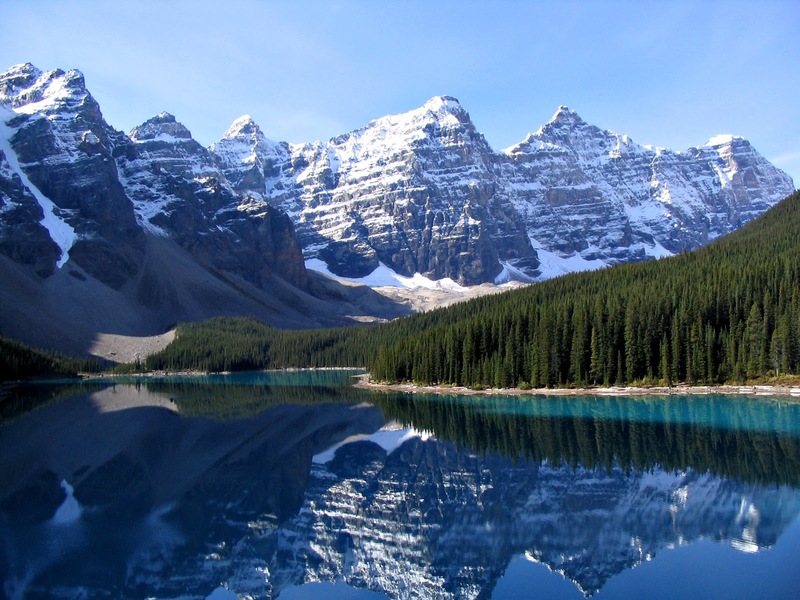 There are three different airport shuttle providers from the Calgary Airport to Banff and Lake Louise. Banff Airporter Inc. offers 10 shuttles daily or private charter shuttles if needed. 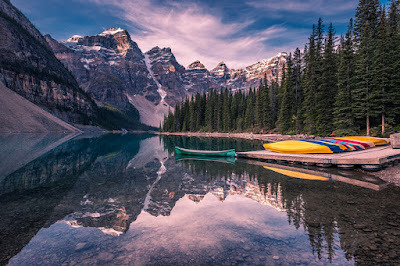 Brewster Airport & Resort Connector offers shuttle service from both the Calgary & Edmonton Airports, schedule varies with season. 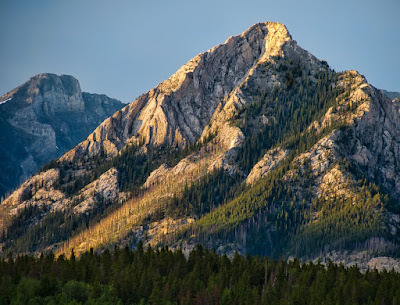 Mountain Connector offers up to 8 shuttles daily, never wait more the an hour to be on the road to the Rockies. 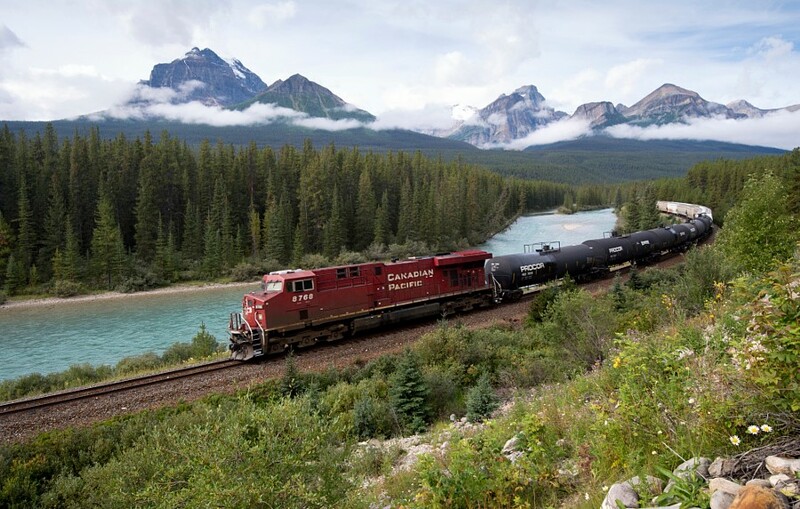 By train: Explore the Canadian Rockies by rail. Day rail tours depart from Banff connecting to Vancouver. Rocky Mountaineer Vacations, provides independent year round vacation packages to the most unique and scenic regions of Canada, including travel on the world acclaimed Rocky Mountaineer rail journey. By air: The closest International Airport is in Calgary. Banff does have an airstrip, but there is no commercial service. An expensive charter flight will be required to land right in the park. Vancouver International Airport is an approximate 12 hour drive to the west. Springbank Airport (west of Calgary, towards Banff) is nearly 80 km from Banff. It operates short charter flights and tours over Banff National Park. Fees/Permits: All visitors stopping in the park (even just for gas) require a park permit. If you are driving straight through the pass is not required. Day passes and annual passes are available. Additional variable fees are required for camping and backcountry exploration. By far the easiest way to get around is by vehicle. 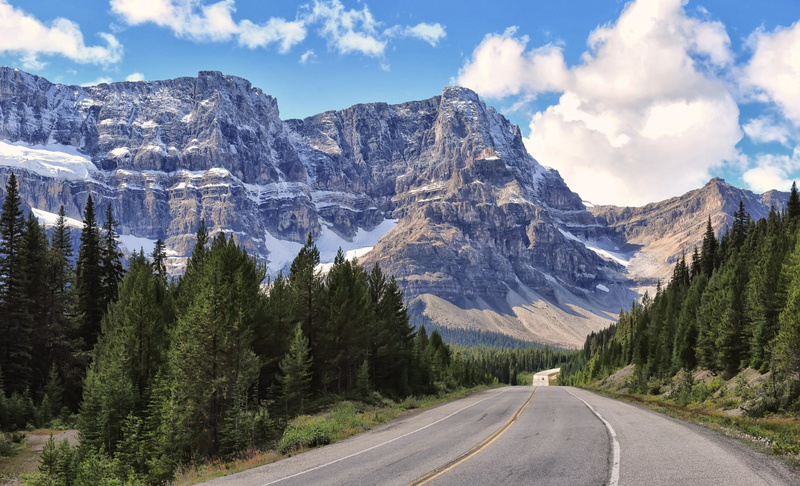 Vehicle rentals are available in Calgary, Banff and Lake Louise. It is also possible to cover the park on bicycle, but keep in mind the mountainous terrain will make this quite a workout. Bicycle rentals are also available with in Banff and Lake Louise, or rent a moped from Bactrax/Snowtips to explore the area around Banff! GyPSy Guide provides the self-drive visitors with a guided tour. GyPSy Guide automatically plays audio commentary, depending on your location, and through the stereo of any vehicle as you tour through the National Parks and beyond. No buttons to push, it knows where you are! Lake Louise Glacier, Banff National Park, Canada. Rock Isle Lake at Sunshine Meadows in Banff National Park. Boom Lake, Banff national park, Canada. 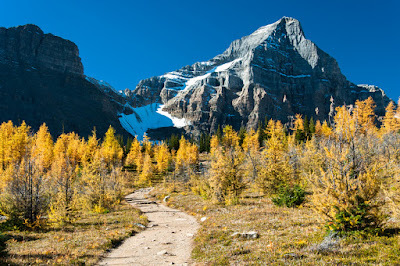 Larches at Saddleback Pass with Haddo Peak (3070m), Banff National Park, Alberta, Canada. 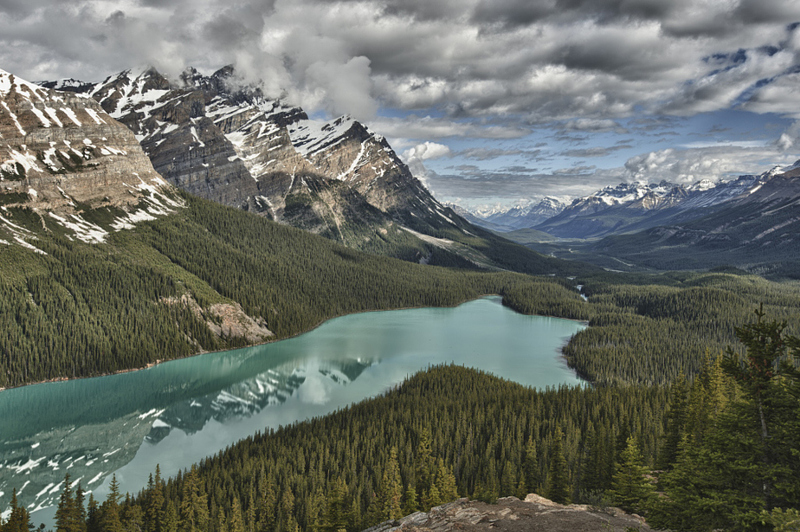 Peyto Lake, Banff national park, Canada. 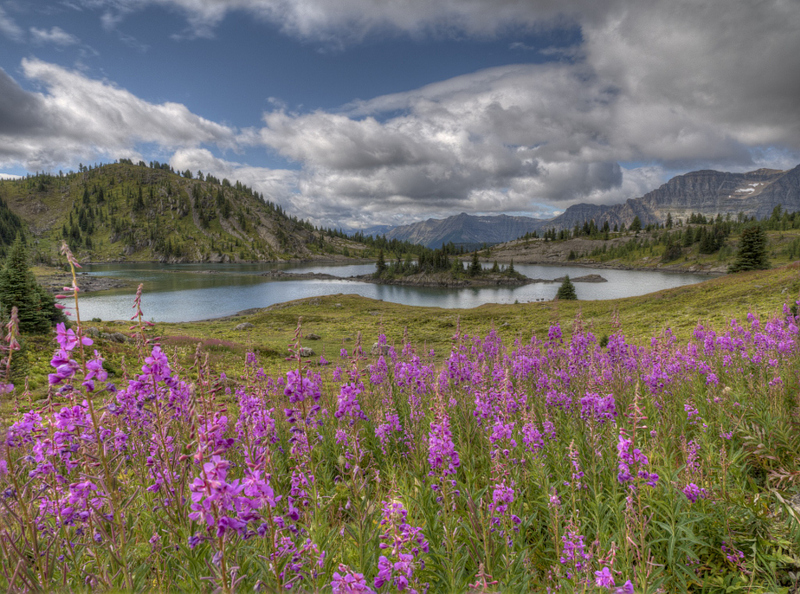 There are several nature trails within half an hour of Banff township. These feature wildlife, waterfalls, lakes, rivers, and mountains. Banff is located at a high latitude and thus the scenery is four-seasonal, Banff looks completely different in the winter than it does in the summer. 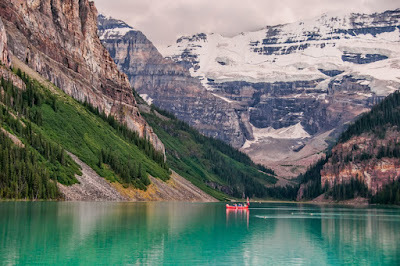 There are 2 Gondolas, Banff Gondola and Lake Louise Sightseeing Gondola. Sunshine Meadows. 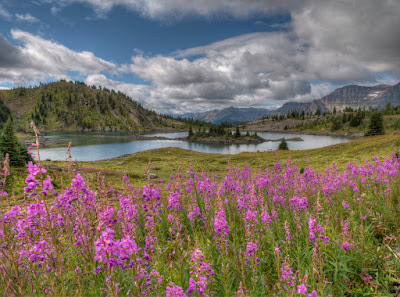 For hikes amongst beautiful alpine meadows. Interested in golfing? Teeing-off amongst the backdrop of dramatic mountain ranges, with local wildlife as your gallery, is an unequalled golfing experience. 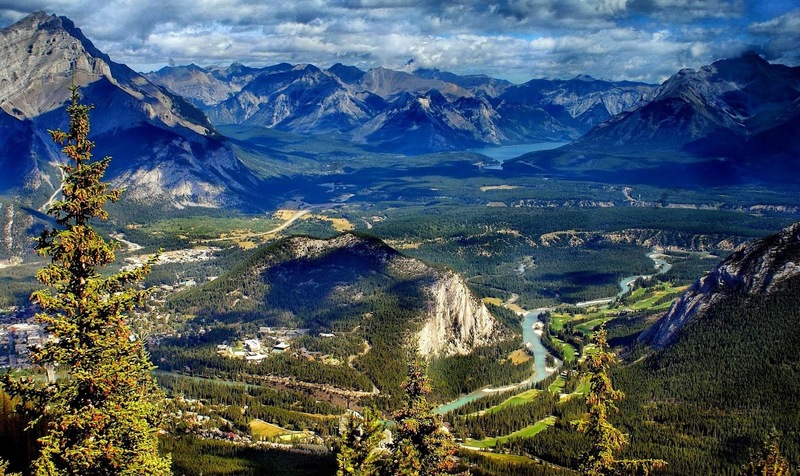 Banff National Park boasts one course at The Fairmont Banff Springs. Stanley Thompson, Canada's master golf course architect, used his expert talent when he designed the original 18 holes in 1928. The course winds along the Bow River under the snow-capped peaks of Sulphur Mountain and Mount Rundle. In 1989, the course was complemented with the construction of an adjoining 9 holes, designed by Cornish and Robinson, resulting in 27 holes of championship layout. Cave and Basin National Historic site. See the birthplace of Canada's National Park system. Where hot sulphur springs were found and the original bathhouse was built in 1887. There are also a couple of short nature trails. Banff Park Museum National Historic site. Come and see all the animals you missed on your trip to Banff. They even offer guaranteed bear sightings. Canada Place. Come in and learn about the history of Canada. Peyto Lake is a scenic location on the Icefields Parkway about 40 kilometers north of the town of Lake Louise. Access to the viewing area for this magnificent area is immediately off the parkway and is well signposted. Upon climbing the short distance to the viewing point you are greeted by what many consider to be one of the best views in Canada. The lake is located in a convergence of valleys surrounded by magestic mountains and rich forests. 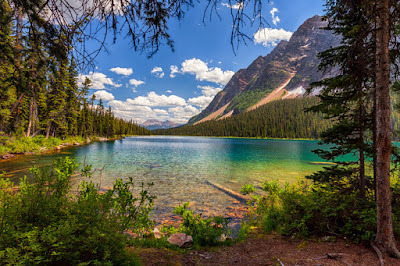 The lake system is fed from the Peyto Glacier to the left of the view point and this gives the lake a magnificent blue colour in the summer months due to the mineral content. Visit the official site for Banff Lake Louise Tourism to find any activity you may be looking for whether it's horseback riding, fishing, sightseeing, ATV adventures, white water rafting, kayaking, and canoeing. 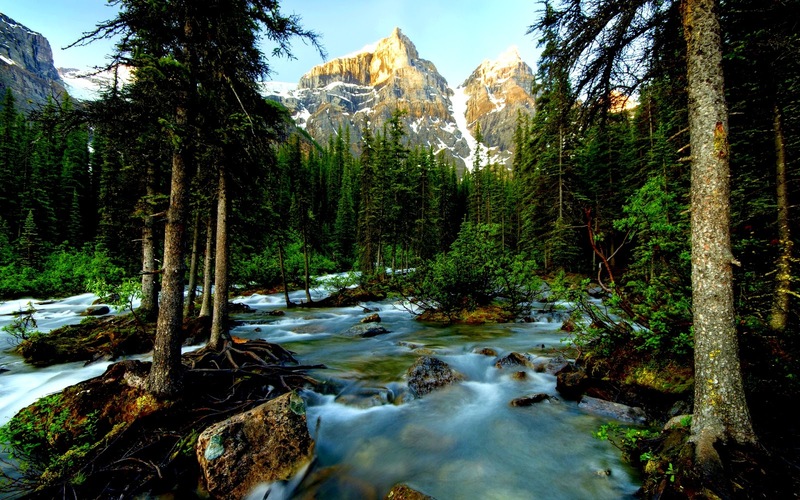 Banff National Park also offers a large variety of activities besides skiing/snowboarding in the winter. Try your hand at dogsledding, icefishing, ice skating, snowshoeing, cross-country skiing, ice climbing. 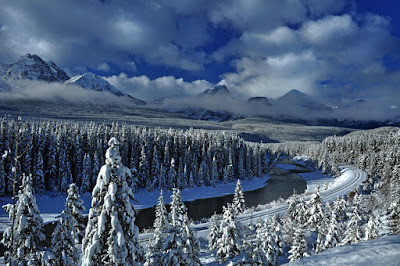 Banff National Park is the home of three world renowned alpine ski/snowboard areas. There are passes valid at all three resorts available. Sunshine. 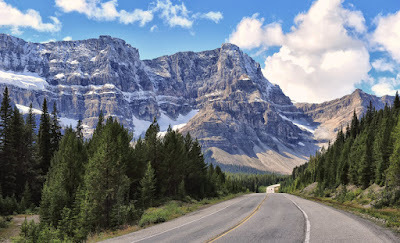 Eight kilometers west of Banff on highway 1. 3358 acres of lift-accessed terrain on three mountains. 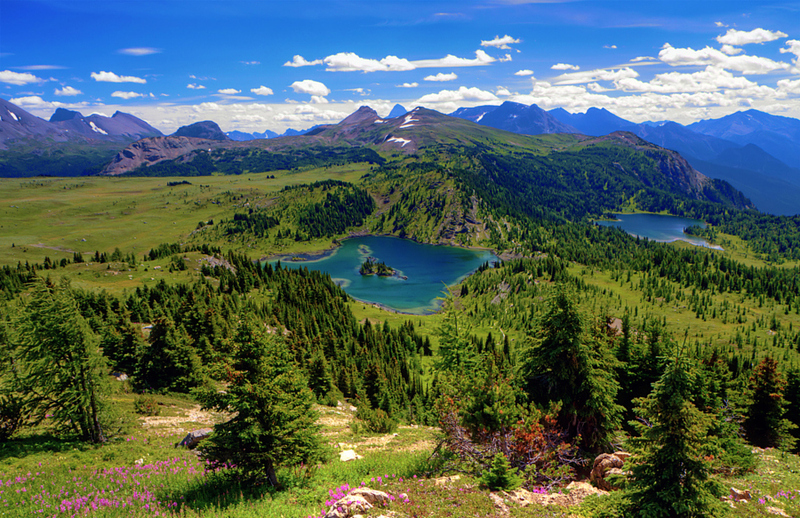 With a peak elevation of 2730m, you can see well into British Columbia from the top. Lake Louise. Sixty kilometers west of Banff on highway 1. 4200 acres of lift-accessed terrain on four mountains makes this resort the largest single ski area in Canada. Mount Norquay. Six kilometers north of Banff on the Mount Norquay access road. 190 acres of lift-accessed terrain. Norquay is famous for its super-steeps serviced by the original double chair. 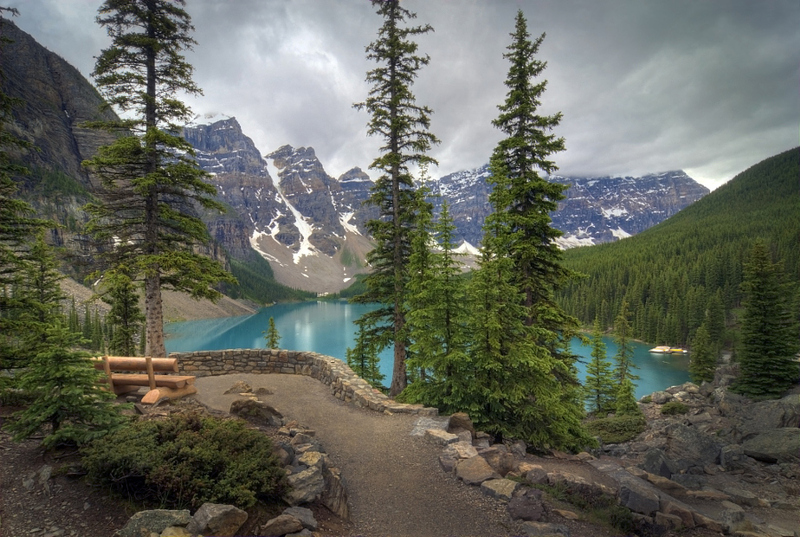 Whether camping or looking for a high class hotel, Banff National Park has something to offer. Camping spots are found throughout the park. Camping outside of designated spots is illegal without a special backcountry permit. 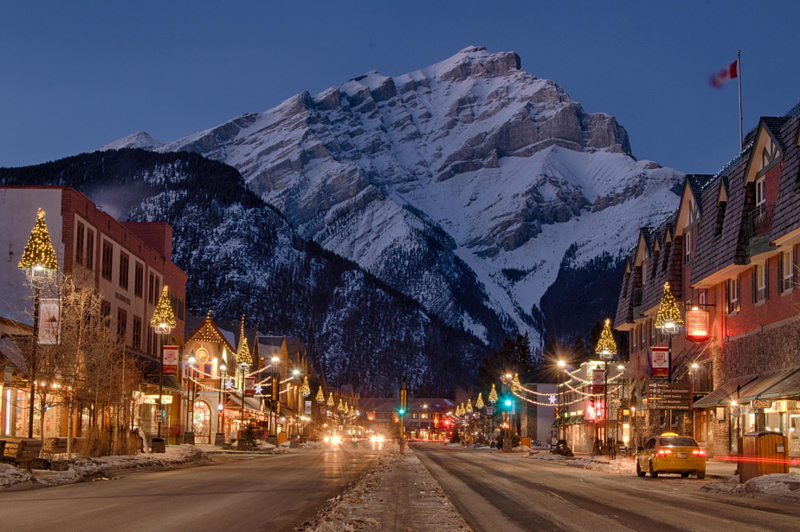 Lodging: There are many hotels/lodges and bed-and-breakfasts throughout Banff. Vacation rental apartments can also be found easily. Some resorts provide log-cabin rentals. RV parking is available very close to Banff township. 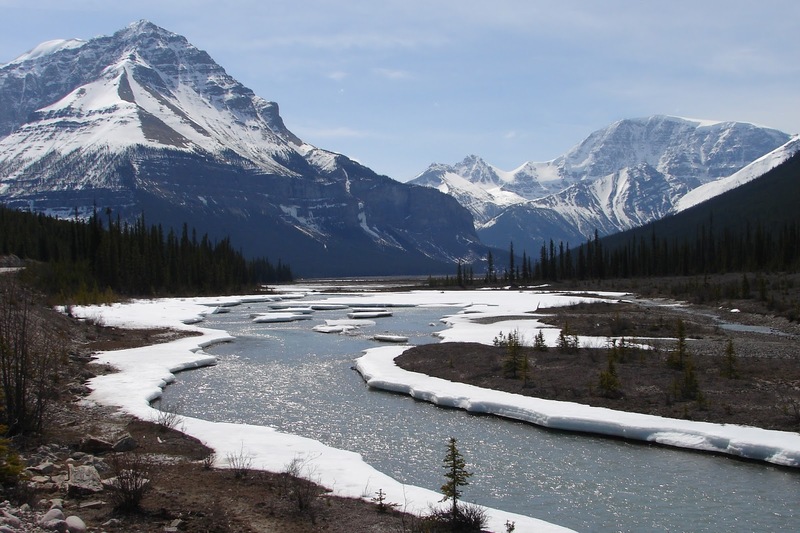 Camping: Banff National Park uses Parks Canada Campground Reservation Service. 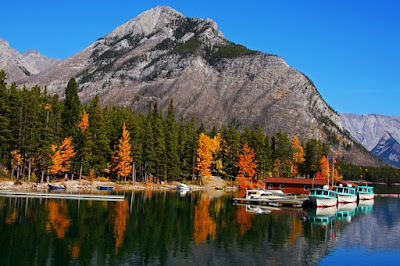 Fall colours in Banff national park, Canada. Morant's Curve, Banff National Park, Canada. Town of Banff, Banff National Park, Alberta, Canada. Inside Banff National Park, Alberta, Canada. 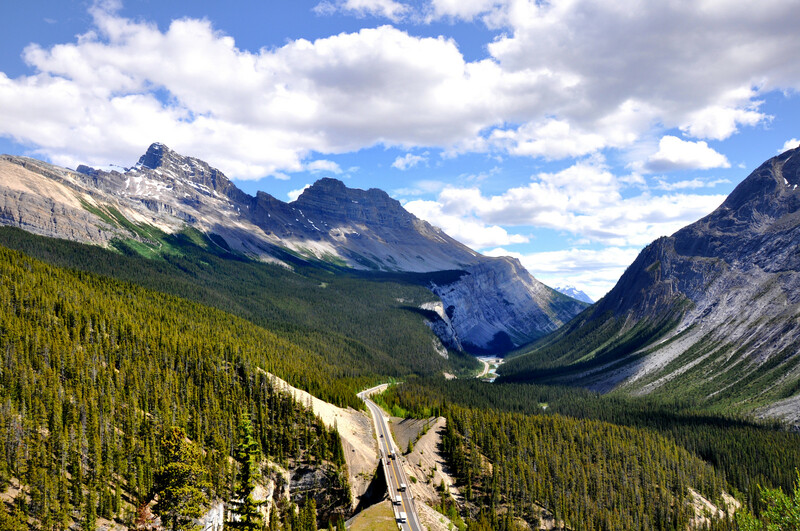 Morant's curve in Banff National Park, Alberta, Canada.